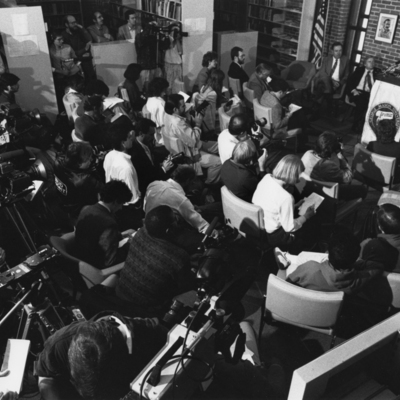 George Mason University Nobel laureate, Dr. James M. Buchanan, speaks at Press conference, October 17, 1986. George Mason University Nobel laureate James M. Buchanan speaks at a reception in his honor, October 1986. 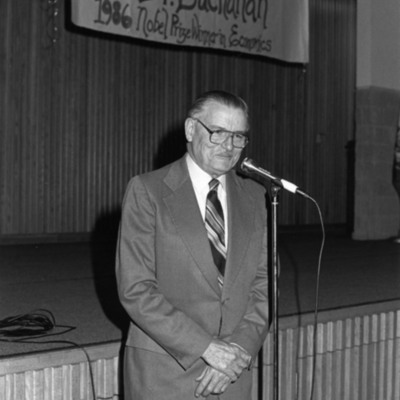 George Mason University Nobel laureate James M. Buchanan speaks at a reception held on the Fairfax Campus in his honor, October 1986. 8" x 10" print; black and white.